Hone your technique through long hours on the bag. These women's kickboxing shorts are made of extra stretchy fabric for a full range of movement on every strike. 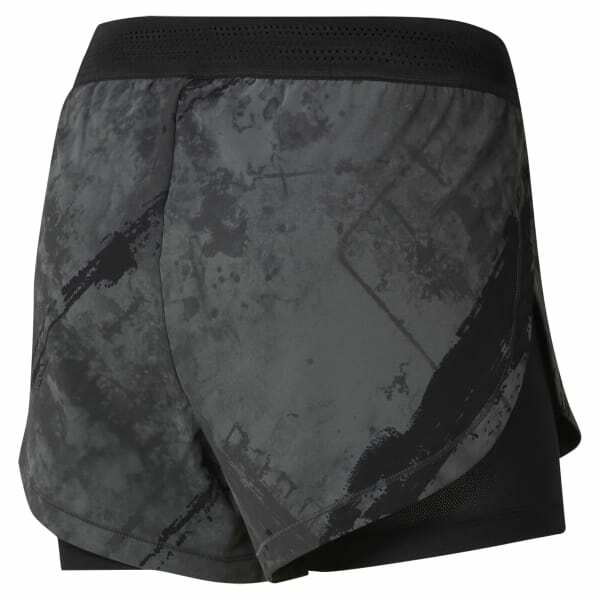 The outer shorts offer a water-repellent finish for a lightweight feel during each round. The inner shorts feature a drawcord-adjustable elastic waist, letting you achieve a secure fit before stepping in the ring.